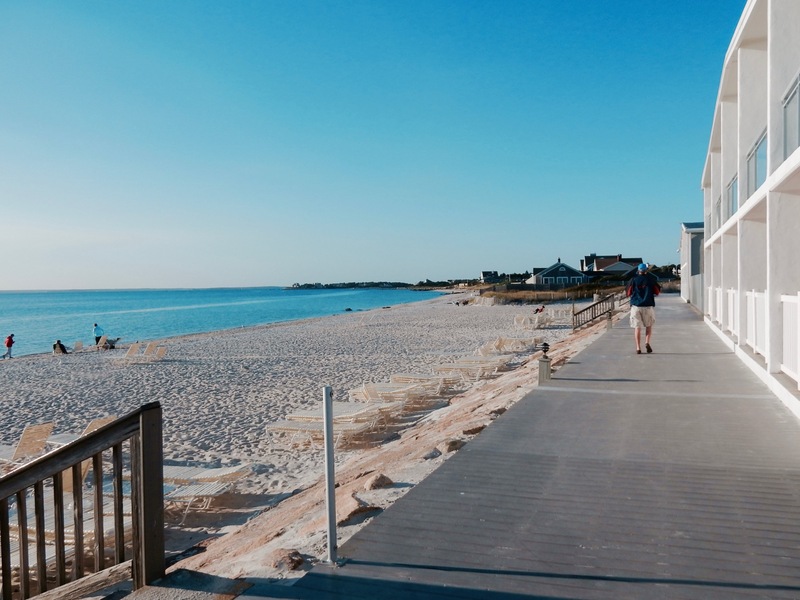 WHY GO: Falmouth MA, in the extreme southwest corner of Cape Cod, encompasses the tiny burg of Woods Hole – a Getaway Maven hot spot – and the ferry to Martha’s Vineyard – another Maven fave. But there are things to see in Falmouth as well, including a recently renovated Victorian mansion turned art museum, waterfront gardens with antique anchors as central features, and some of the country’s most awesome sunsets. What to do and where to stay in Falmouth? 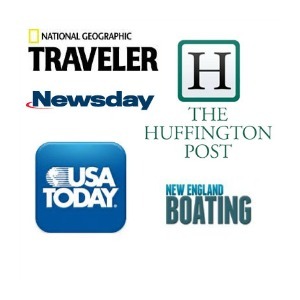 We tell you here…. VISIT: Highfield Hall and Gardens, Falmouth. If ever there was a Demo Diva* story, it’s this one. In 1994, a permit was granted to demolish Highfield Hall, an ornate “Stick-Style” Queen Anne mansion built in 1878 by the heirs of Boston Dry Goods titan, James Beebe. Three Beebe brothers, Pierson, Franklin and J. Arthur, and their sister Emily, purchased acreage in what was then scrublands, and built the 17,800 sq ft. Victorian Highfield Hall and the Colonial Revival Tanglewood next door, establishing one of the first summer retreats on Cape Cod. When Franklin, the last Beebe, died in 1932 leaving no heirs, both homes and the property cycled through a succession of owners. By the 1970’s, the summer homes were abandoned and remained vacant over the next two decades. Tanglewood succumbed to the wrecking ball, but in 1994, under threat of demolition, a group of concerned citizens formed Historic Highfield to save the crumbling structure. They ultimately raised $8.5 million and restored Highfield Hall to its original splendor in September 2006, completing the grounds and gardens – including the Ice House – in 2010. 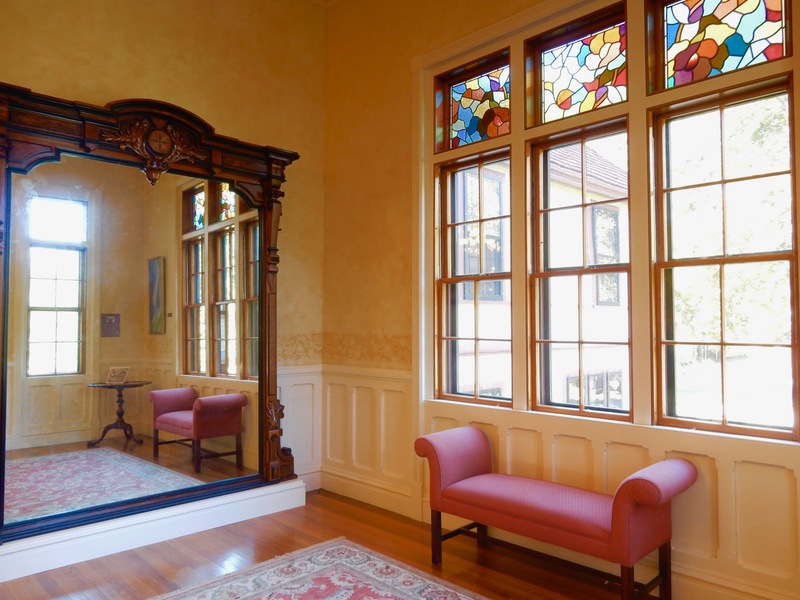 Now, the mansion is open to the public as an art museum/gallery/cultural center, where paintings and sculptures mesh harmoniously with graceful architectural elements like floral and geometric stained glass, Majolica tiled fireplaces, crown molding, wainscoting, picture windows, and oriental carpets on hardwood floors. 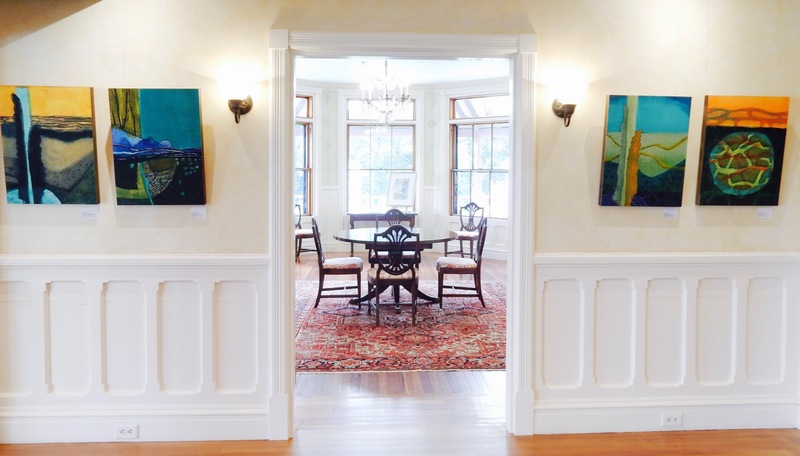 Highfield presents three art shows a year throughout a number of rooms on two floors – so you will experience something different each time you visit. Begin in the Museum Room next to the admission desk to learn about the Beebe Family (some of it quite tragic, with a history of suicide), and then continue on to ogle the artwork in the mansion’s interior. End your visit in the gardens outside. *Demo Diva – A stunning building saved from the wrecking ball at the 11th hour. WALK: Spohr Gardens, Falmouth. 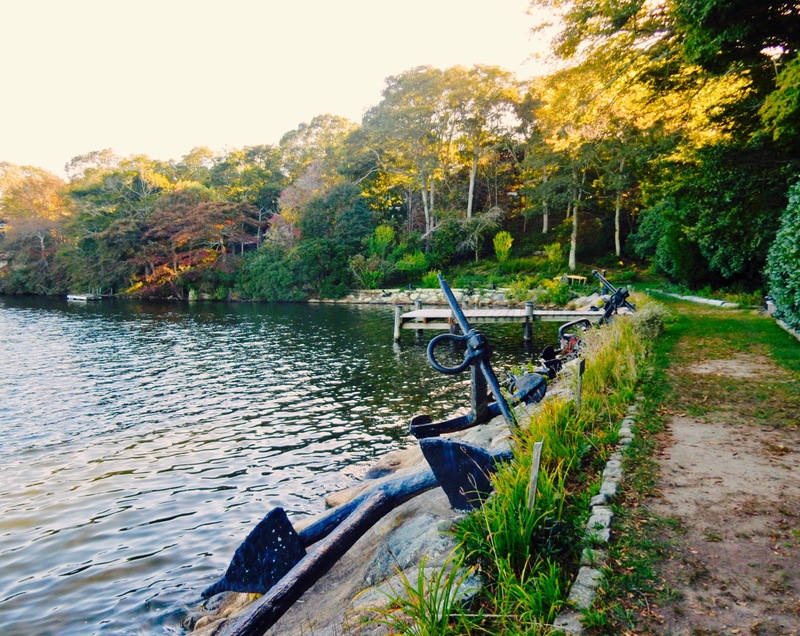 The central collection of this very tucked away 5-acre waterfront garden is a quirky and surprising one – antique anchors. And the most prized among them; the 14 ft long, 2,465 pound 1760 English anchor intended for use by the H.M.S. Bounty, but found to be defective, and left aside for repairs. By the 1950’s, Charles Spohr had amassed a large collection of these nautical artifacts – it was his “thing” – and came to the conclusion that his own property was the perfect place to display them. Spohr designed the garden surrounding his home, laying the anchors in an array along a bulwark wall at the water’s edge. As friends and then friends of friends found out about the anchor, rock, and flower gardens, Charles and his wife, Margaret, decided to open their property to the public. 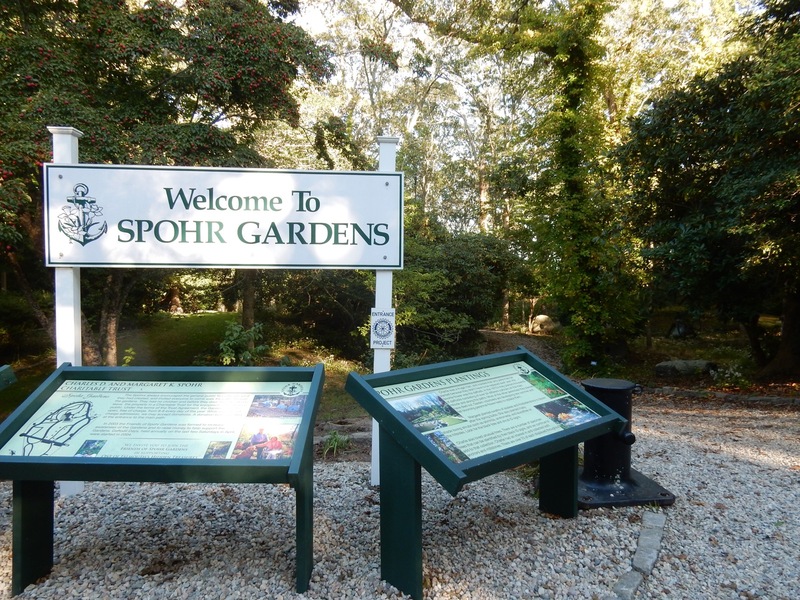 The Spohr’s arranged for a Charitable Trust to manage the gardens after their deaths (Charles in 1997, Margaret in 2001), so this local treasure, with the help of Friends of Spohr Gardens, remains open daily year round from 8am-8pm. 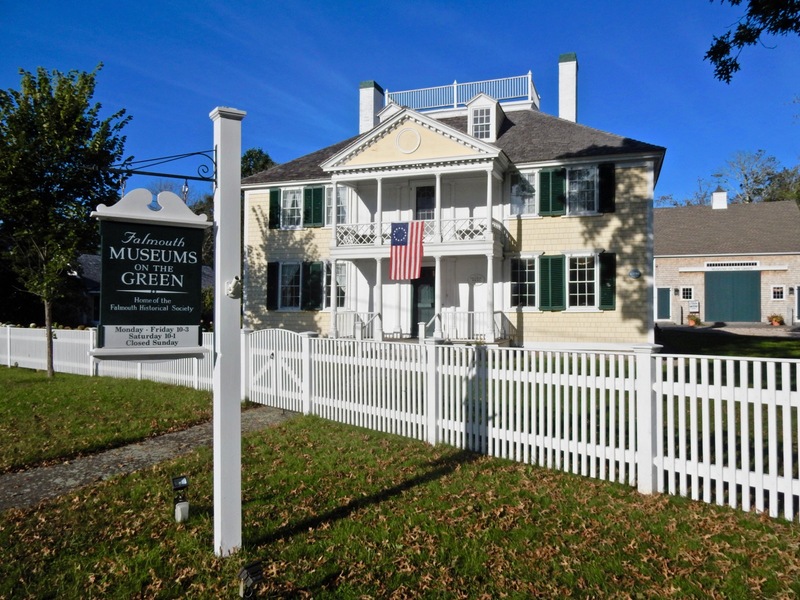 GO: Museums on the Green. Two 18th Century homes hold a “treasure trove” of artifacts reminiscent of Falmouth life in Colonial times. Open early June- Mid Oct, Mon-Fri 10-3, Sat 10-1, $5. STAY: Sea Crest Beach Hotel. This beachfront, sand in your toes hotel is a favorite of many for a reason. Like Mallory Square in Key West, humans are drawn the Sea Crest Beach Hotel for the breathtaking sunset over Buzzard’s Bay. Late afternoon, they float in the outdoor pool. They lean over the boardwalk railings or grab a lounge chair, with a glass of wine, by the lapping waves. Or, they reserve a seat at Red’s Restaurant, facing outward, to see the marvelous show that Mother Nature puts on nightly. 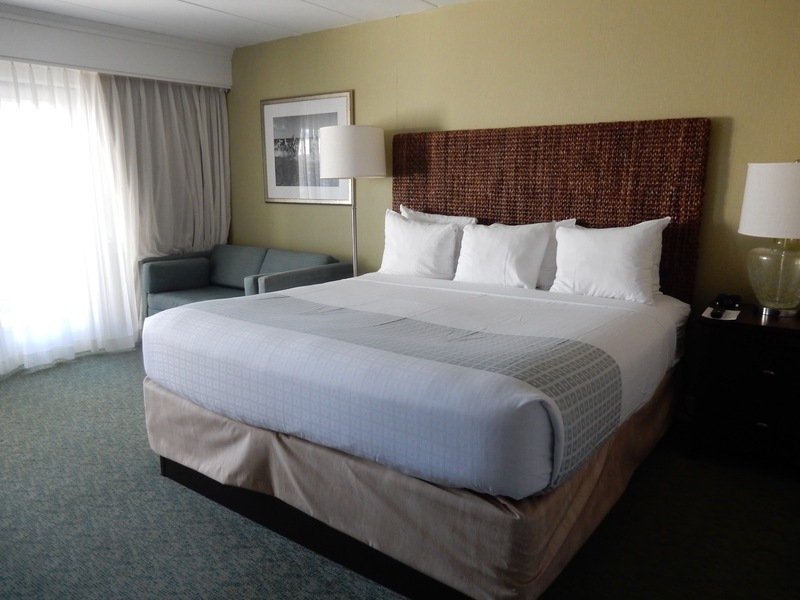 The Sea Crest Beach Hotel is not a luxury property, per se, but it is upscale, and getting more so as guest rooms are refreshed. Renovated lobby and rooms – in one and two story buildings circling a central parking lot – are decked out in either mellow earth tones or nautical hues (depending on room block) with back doors that open onto a courtyard or ocean-view patio. 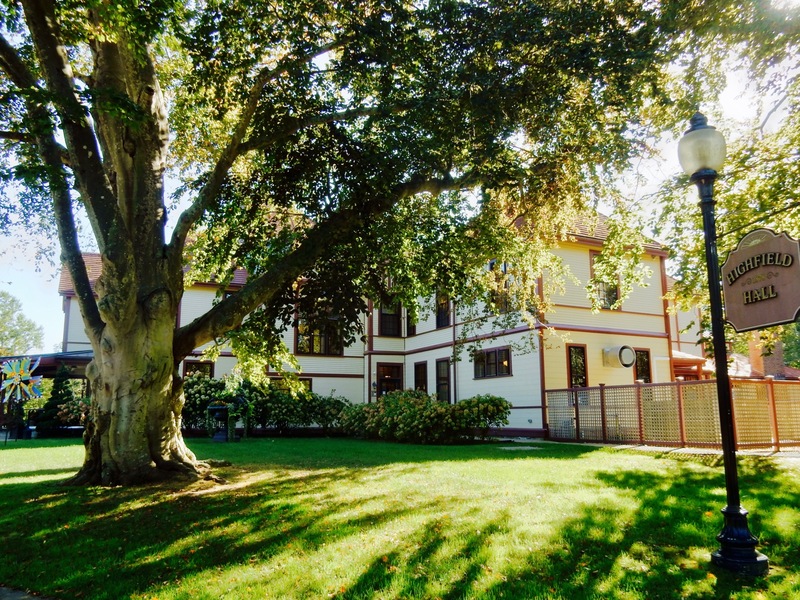 Reception is in the lovingly landscaped main building – which also features a snack/coffee/gift shop, Red’s Restaurant, and several conference rooms. Staff is friendly, with ultimate patience, as the property is large and sprawling and requires a map to find your way (at first). But all that initial confusion melts away at first glance of the beach and bay as you make your way to your room. In a nutshell, the best rooms for dead-on views of the bay and magnificent sunset will be the most expensive. But no matter where you book, you’re within only a few steps of the beach. 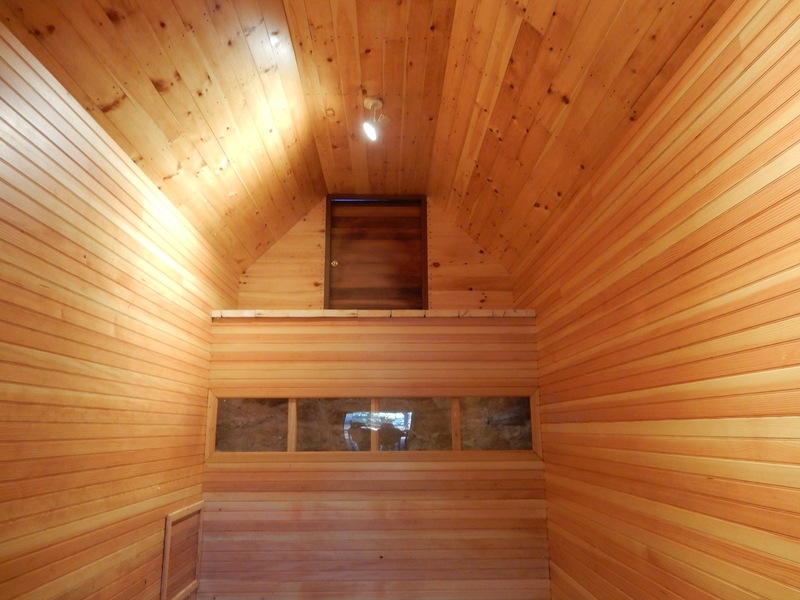 Though some chambers are muted, colorwise, others have been refreshed with bright nautical blues and greens, so if you have a preference, ask first. My room in Yankee Girl featured earth tones in both the bedroom and small bathroom. Pillowtop bedding is soft, comfy, and high-end, and even though not right on the water, the sound of wind and nearby surf lulled me to sleep. 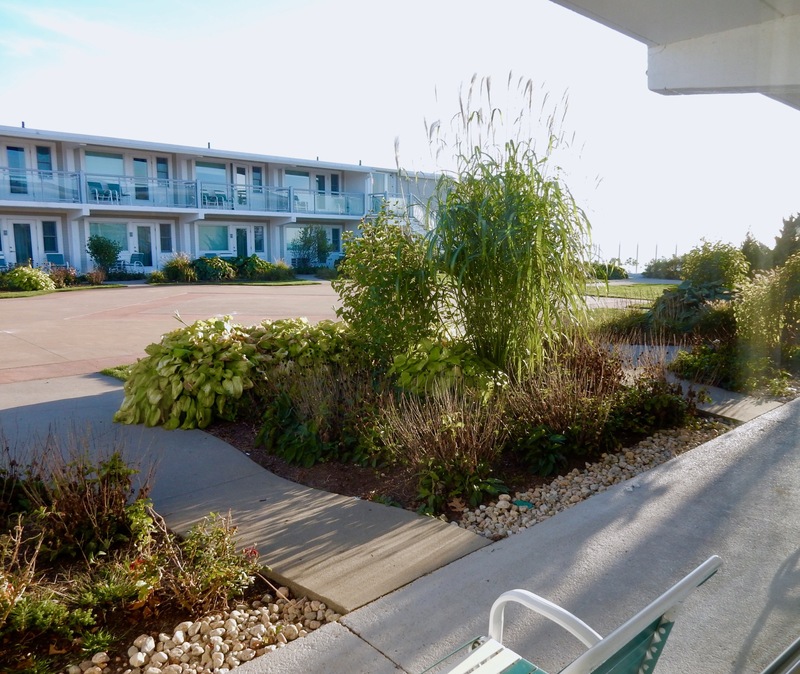 There’s a small galley kitchen, and back door to a large cement courtyard (the other side of the building fronts a sandy quadrant extending to the bayfront beach), just a few paces from a boardwalk that leads out to the beach. In-house restaurant, Red’s, is the place to be at sunset: as you can dine on burgers, steak, and fish while watching the sun go down. Food is good enough to stay on campus– as downtown Falmouth is several miles away – and draws even locals and folks staying in other hotels for its views alone. In the morning, you can enjoy a buffet breakfast ($19), served in the Ocean View Room – and, again, those vistas! Alternately, grab a coffee and pastry at the gift/coffee shop, which opens at the early-to-riser’s preferred hour of 6am. 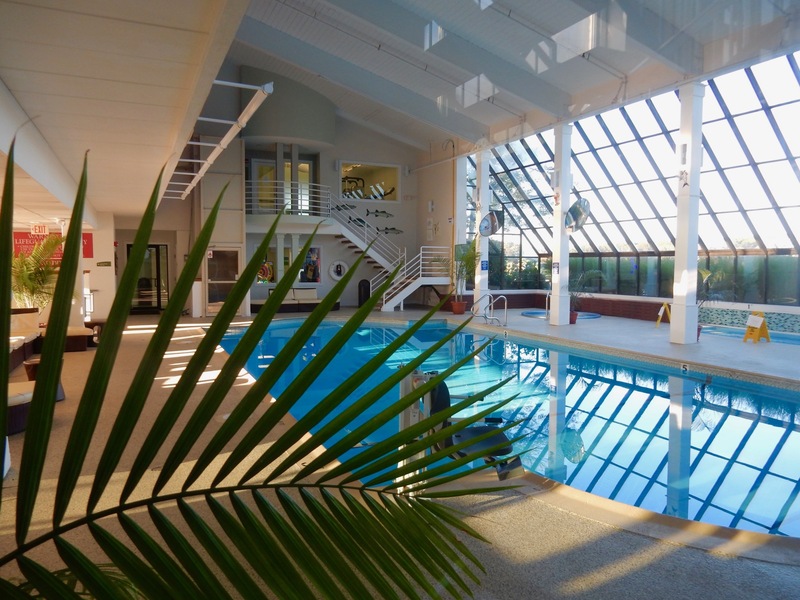 Indoor Saltwater Pool shares a building with an arcade and fitness center. 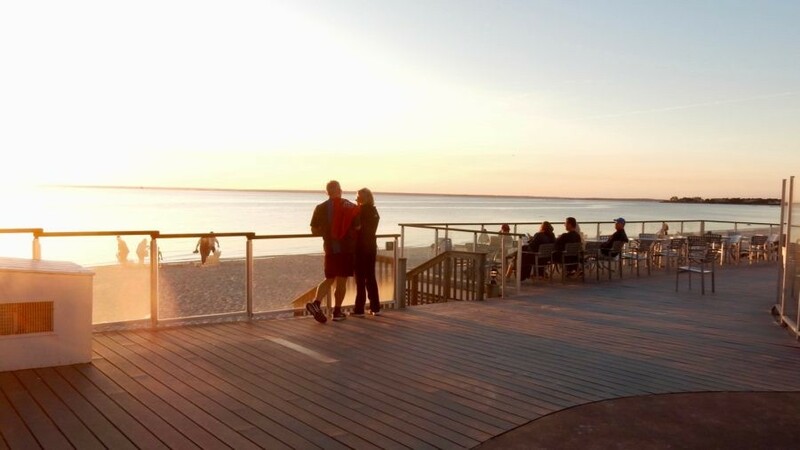 The Outdoor Saltwater Pool is but one exceptional sunset vantage point, as it’s located right off the beach boardwalk. 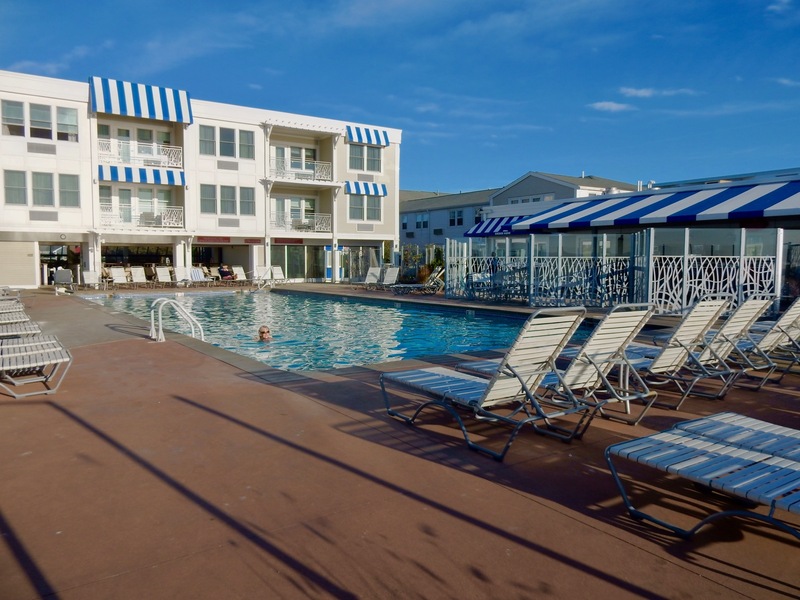 Rooms $123-$629 per night, depending on view (oceanfront most expensive) and season, include complimentary wi-fi, parking, and beach access.